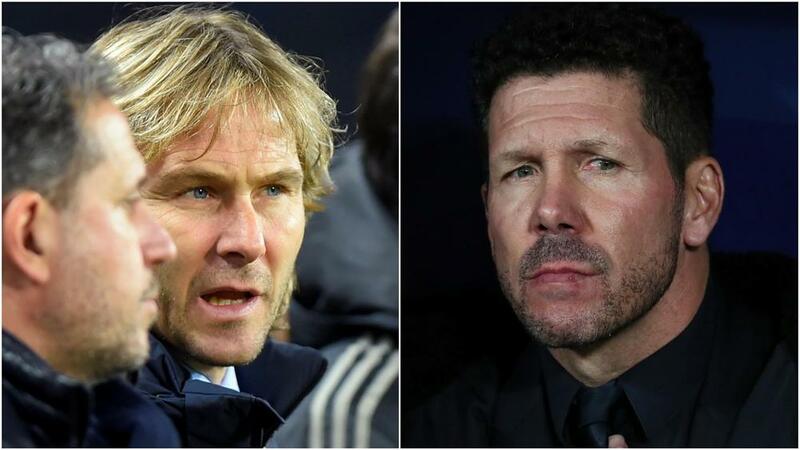 Juventus were drawn against Diego Simeone's Atletico Madrid in the last 16 of the Champions League on Monday. Juve continue to blaze a trail domestically - they have won the last seven Scudetti and already established an eight-point lead at the summit this season after 16 games - but have not been crowned European champions since 1996. Nedved said: "We didn't have much luck. "Atletico are a difficult side to face, they are more of an Italian-style team than European. "They have a strong defence that plays well together, and they know how to play into the forwards with [Antoine] Griezmann and others. "I foresee two very even matches, with few goals. We have drawn the strongest possible opponent, but there is no problem. "Cristiano may be the man of the Champions League, but the whole team is strong and we can be confident in our ability to qualify for the quarter-finals." Juve midfielder Sami Khedira, another former Real Madrid man, has also predicted a difficult game against Diego Simeone's side. He tweeted: "Always tough games against them. "It will be a real challenge but we can do it. Looking forward to it."